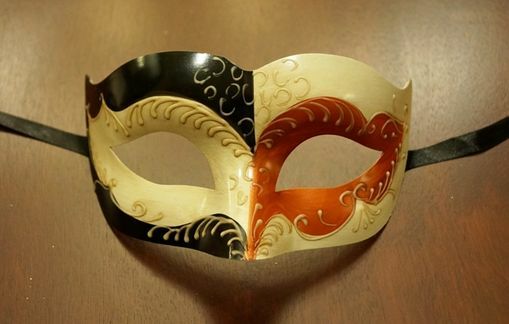 This venetian Hand made mask is decorated with acrylic colors. Perfect as a part of Carnival, Halloween, Masquerade themed Prom or Sweet Sixteen. Mask has two ribbons for wearing.